Being anorexia is self starvation. 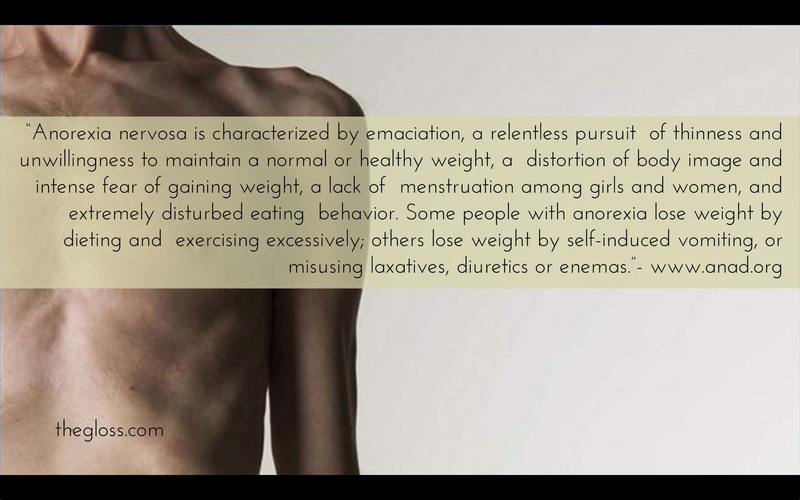 Anorexia isn’t always about food and body weight; it is more about other issues like depression, loneliness, insecurity, pressure to be perfect, or feeling out of control. Food and weight is more of a comfort, something you can control. It’s more of a control thing for me that escalated to a depletion of body image and self worth. I have been dealing with my disorder for almost 15 years. I’m much better, meaning I eat at least once a day and maintain a weight between 115-120lb. At my worst, I weighed 108lb and would go three days in between meals. I don’t remember being hungry during those three days. I do not remember ever being skinny. In my eyes I have always looked the same: I could afford to lose a few pounds. I still have very bad days–I can’t stand being in my own skin, food making me physically sick, etc. On these days, it take every ounce of willpower I have to walk out the door. I have even waited for subway cars that aren’t full so I won’t be touched by a stranger. I don’t know how or why I developed this issue. I don’t know why it’s continuing, but I am at a point where I feel I can start doing something about it. I believe that something is my thesis project. I am not setting out to find a cure for the disorder or shove it in others’ faces that they need to pity me and others. 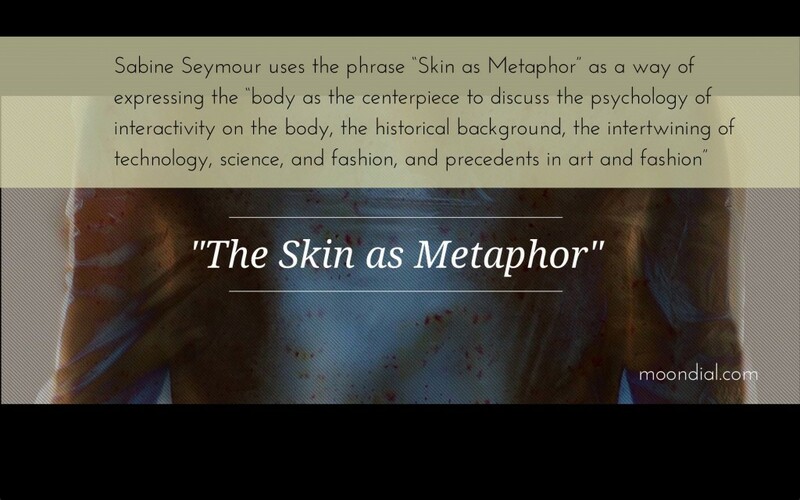 In fact, I want my project to be a positive solution to the topic, a exploratory art therapy project that discusses the body or skin as a metaphor. 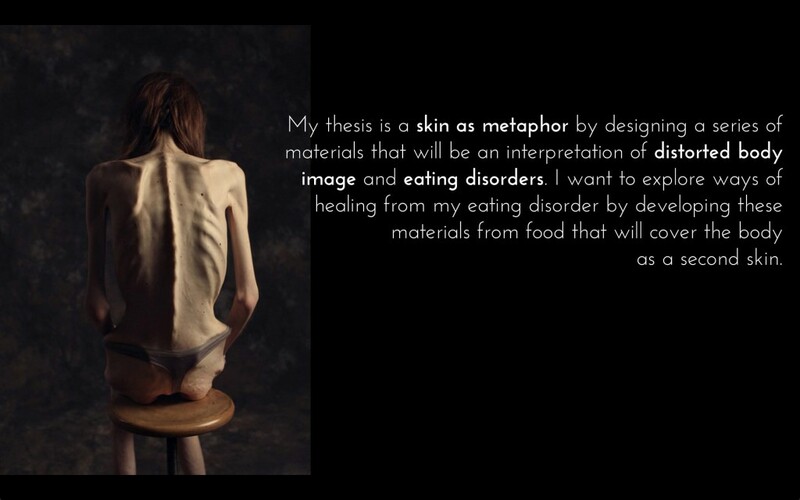 I am approaching my thesis project as skin as metaphor by designing a series of materials that will be an interpretation of distorted body image and eating disorders. 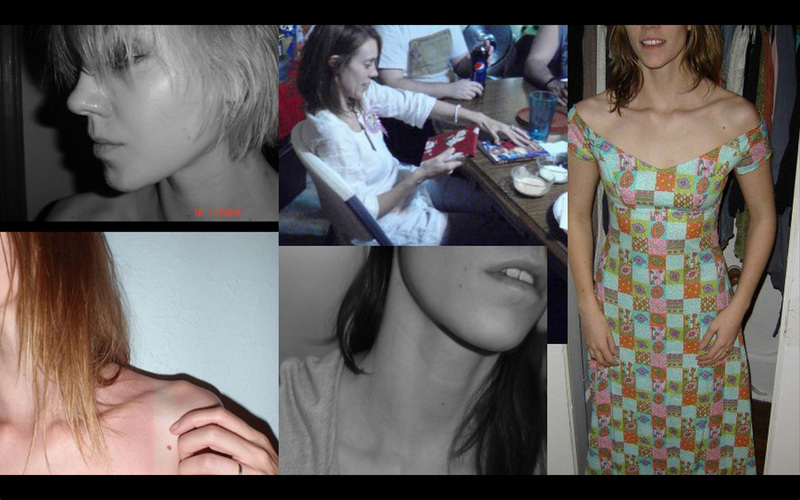 I want to explore ways of healing from my eating disorder by developing these materials from food that will cover the body, as a second skin.